Lenovo has launched a new notebook in Indian market, ‘Lenovo Z510’. Lenovo Z510 Notebook is a nice and stylish notebook which works on Windows 8.1 operating system. 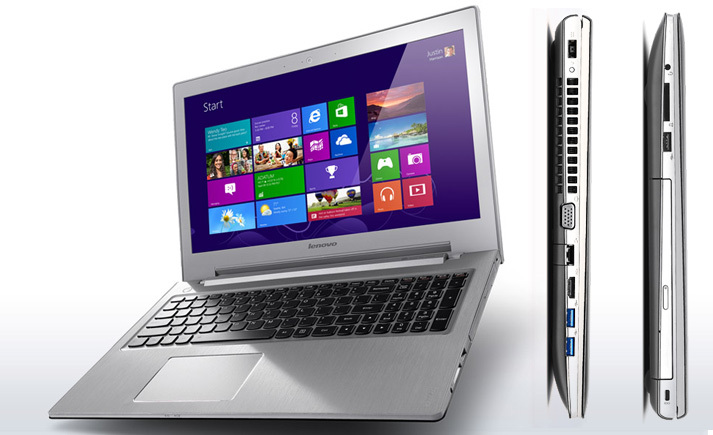 It is powered by 4th generation Intel Core i5/i7 processor. The Lenovo Notebook has got 15.6 inch display with 1366*768 resolutions. The all new notebooks of Lenovo Z510 has a 16.9 inches widescreen coupled with Intel HD Graphics 4600/4000. There is a 1TB built-in HDD with upto 8GB RAM Dual channel DDR3L- 1333/1600 MHz (2 SO- DIMM Slots). It’s equipped with Dolby surrounded sound JBL speakers and provides us HomeTheatre sound. The advanced equipment is configured with Dual layer DVD reader/writer optical drive, two USB 3.0 ports, one USB 2.0 port, an HDMI 2-in- 1 card reader, RJ45 and a combo Mic-in and headphone, Bluetooth 4.0 and Intel Centrino Wireless N- 2230, keyboard Of Backlit accu Type model and 720 pixel front camera. There are offered too much apps in this superb lappy, Evernote and Dragon Speech Recognition Software, Lenovo cloud Storage, McAfee Internet security, VeriFace and one Key Recovery. This device is available in a dark chocolate color and the organization provides us 1-year full warranty. If we talk about price of this device then the company is providing it at Rs.52954. This is price for basic configuration and as we go to higher configuration then the cost will go to next level.